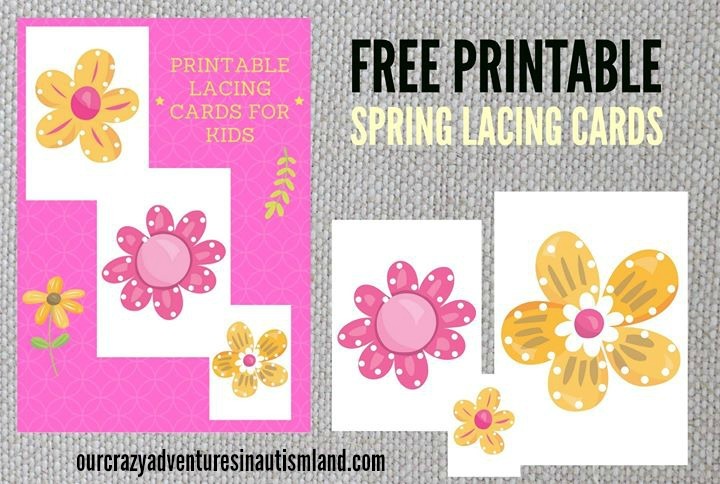 Free lace flowers printable for fine motor work in autism shows you a a great way to work on fine motor skills in children with autism by using lacing activities. It’s an excellent activity to add to your occupational schedule. Fine motor is crucial for skills like handwriting , shoe tying or even being able to eat using a fork or other utensil. As you can see, fine motor skills not only help with academics but with quality of life issues as well. Fine motor is an absolute must skill to work on a regular basis with most children with autism. Lacing activities are easy to do in the car or waiting for appointments. I print them on card stock to make them a bit sturdier then buy cheap shoelaces at the Dollar Tree. Throw them in a Ziploc bag and you have a built in activity for traveling if you keep them in the car. If you were to ask to see what’s inside my purse at any given time, you would most likely see a set of lacing cards stashed in there. Logan will mindlessly do lacing cards while watching tv or while traveling down the road. He doesn’t really need to do them anymore but they have sort of become a calming technique for him. Enter your email address to have them sent to you! 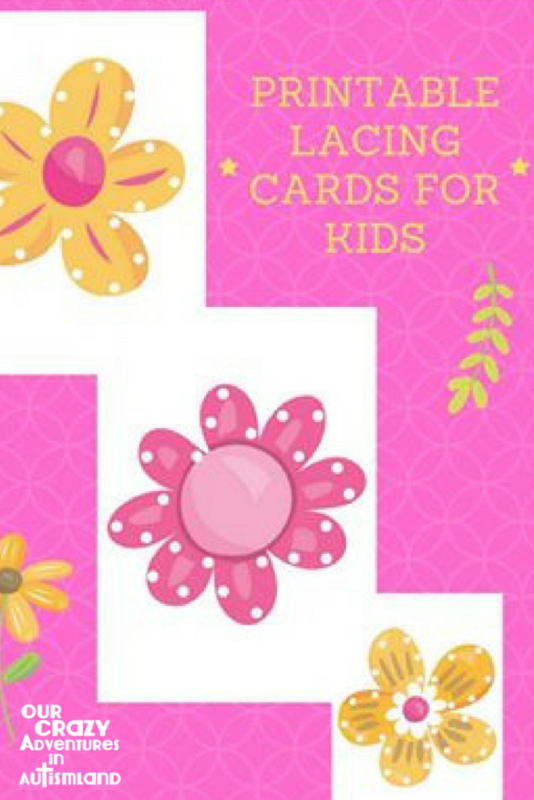 My kids LOVE lacing cards. My 9 year old actually does them when she needs to calm down. Oh my goodness, me too. I love lacing cards. Lacing cards are wonderful especially the ones with lots of holes. Yes! The more holes the better in my opinion.